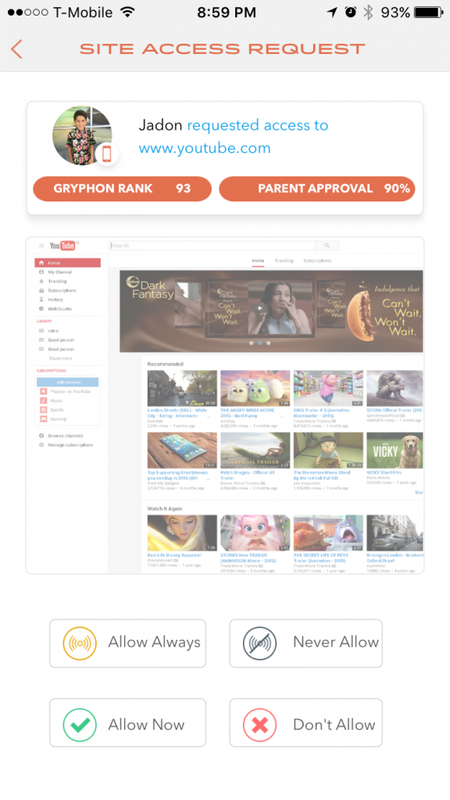 Keep Your Kids Safe Online with the Gryphon Internet Router! - Look! We're Learning! 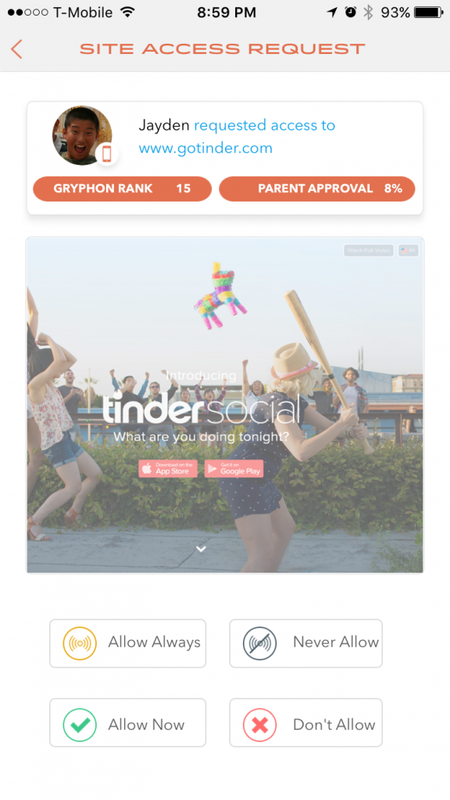 Keep Your Kids Safe Online with the Gryphon Internet Router! I am part of the pre-Internet generation, which means I remember when there was no such thing as the Internet as we now know it. In fact, I remember the day when we had our first modem installed. It was a really big deal…until I realized that waiting for ONE page to load would take an hour or more. The Internet has definitely come a long way since then. Now pages load in the blink of an eye, which can be great in some ways and not so great in others. Faster speed means that more information is available to our kids than ever before and not all of it is good for their little minds. Which is why I’m excited to share news about a brand new way to keep kids safe online, without hovering, asking tons of questions, or invading your kids’ rooms. 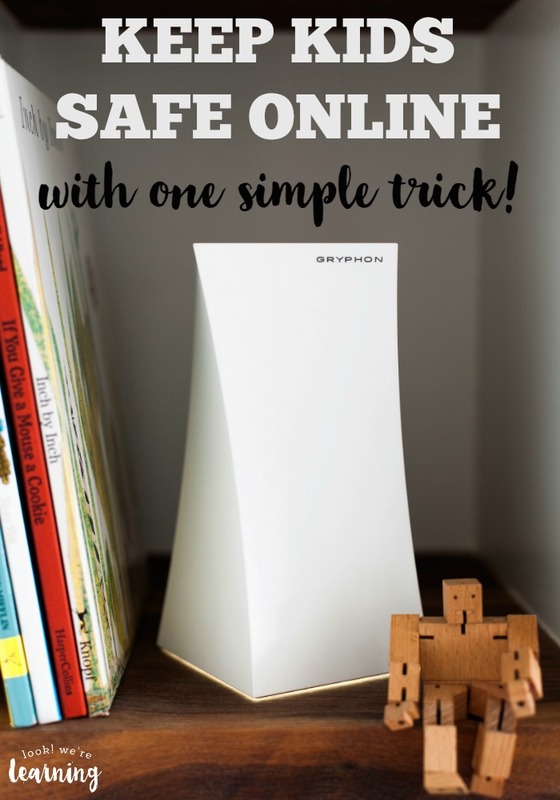 Read on to see how you can keep your kids safe online with one simple trick! Disclosure: This is a paid advertorial post for a product I believe will be of value to families. For more, see our Disclosure Policy. The digital age brings a wealth of information and conveniences, but we cannot ignore the risks it poses for the family. Most children are exposed to the Internet at the age of six, which would be fine, except for the fact that 70% of children see inappropriate content by accident. The average family has 10 Internet-connected devices and counting, creating new security threats and vulnerabilities. However, the existing parental control tools are often complicated to use. Plus, they tend to be rather expensive, requiring annual subscriptions. What is the one simple trick to keeping kids safe online? The Gryphon Internet Router! It’s a powerful yet convenient approach to online safety. 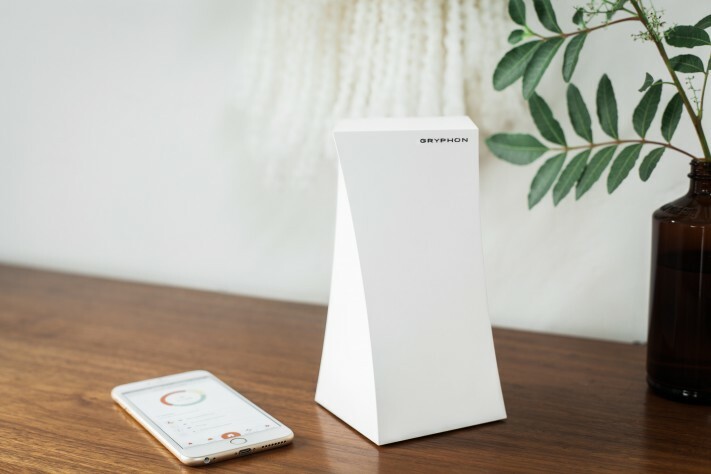 Gryphon combines a high-performance WiFi router and a simple-to-use smartphone app, making it easy for parents to manage the connected home from anywhere. All security features are built directly within the router itself, eliminating the need to install additional apps on your connected devices. When you use the app, you can set up individual users and their devices separately, which makes it easy for you to keep an eye on your children’s Internet activity without standing guard over their shoulders. And all right from your smartphone! The app even features a social collaboration tool, so you can work together with fellow homeschooling parents to create a safer Internet for everyone, by recommending and rating specific websites. …and which ones might not be. The people behind Gryphon have worked hard over the last year on the design and the software platform and they have launched a Kickstarter campaign today for the final production of Gryphon. You can visit the company website to find out more about the product and the campaign. The video below also highlights how the Gryphon router works and some of its convenient features. Check it out and support the Kickstarter to make this product available to families everywhere!